Beauty truly starts from the inside out. Try incorporating some of these simple summer detox foods in your daily diet and let me know how you feel. Precious Pineapple – Pineapple contains a specific enzyme, bromelain, which has been proven to aid in digestion, break down unwanted toxins as well as reduce inflammation and stomach bloating. Moreover, pineapple is rich in the mineral manganese; manganese helps regulate mood as well as increase energy production within the body. Try my chunky pineapple cream cup recipe here for a refreshing afternoon bite. Crazy Cayenne Pepper – Cayenne Pepper improves digestion, blood circulation and increases energy levels. This precious pepper creates heat in the digestive tract that helps your body store food more effectively, improving digestion and aiding in feelings of satisfaction. Cayenne pepper also contains high amounts of vitamin C, vitamin A and essential minerals. Mix this pepper into a simple salad dressing, or on your morning omelet. For more slimming spices check out my old piece here. Amazing Avocado – Avocado is loaded with potassium. Potassium helps cleanse the body of excessive waste and reduces stomach bloating. Avocados are also packed with heart healthy monounsaturated fats. These fats have been proven to reduce stress as well as increase post-meal satisfaction levels. 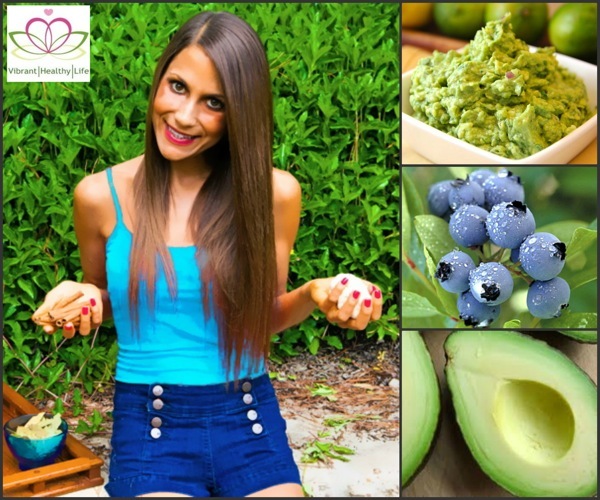 Moreover, avocados contain plant protein to keep you more full for a longer amount of time, give you lasting energy and curb unhealthy cravings. Avocados also contain vitamin E. Vitamin E fights off damaging free radicals that contribute to aging. Try my dark chocolate mint shake recipe here, my zesty avocado mash recipe here or my avocado pasta video tutorial here. Brilliant Blueberries – Blueberries are a great source of dietary fiber (to rid the body of excessive waste), cancer fighting antioxidants, vitamin C and vitamin E. Have a cup of blueberries for a mid-morning snack, throw them in your oatmeal or make a delicious berry smoothie with almond milk, stevia and greens of your choice. Lovely Lemon – Simply start the day with warm water and freshly squeezed lemon or add this zesty delight to salads, vegetables and meals. Lemon is loaded with potassium and contains pectin, a soluble fiber that flushes the body of excessive waste. Moreover, the vitamin C content is great for immunity, de-bloating and clear skin. For more skin clearing snacks check out my recent television appearance here or my Skin Clearing French Fry video here. Lemon is one of my favorite detox foods due to the incredible health benefits and balancing effect it has on the body.